Mendeley is a free reference manager for academics and researchers that enables users to store and organise documents as well as collaborate with others online. The academic social network also updates users when new research is added. Mendeley is available as an app or via a web browser. Mendeley creates a free personal library to store all your research making a multiple long and complex documents easy to search. It allows you to annotate documents as you read and share with other users for collaborative note-making. When a document is stored, the reference manager also captures key information such as author, title and publisher which enables it to generate an instant bibliography. With 1G of secure cloud storage the library is easily accessible from anywhere. 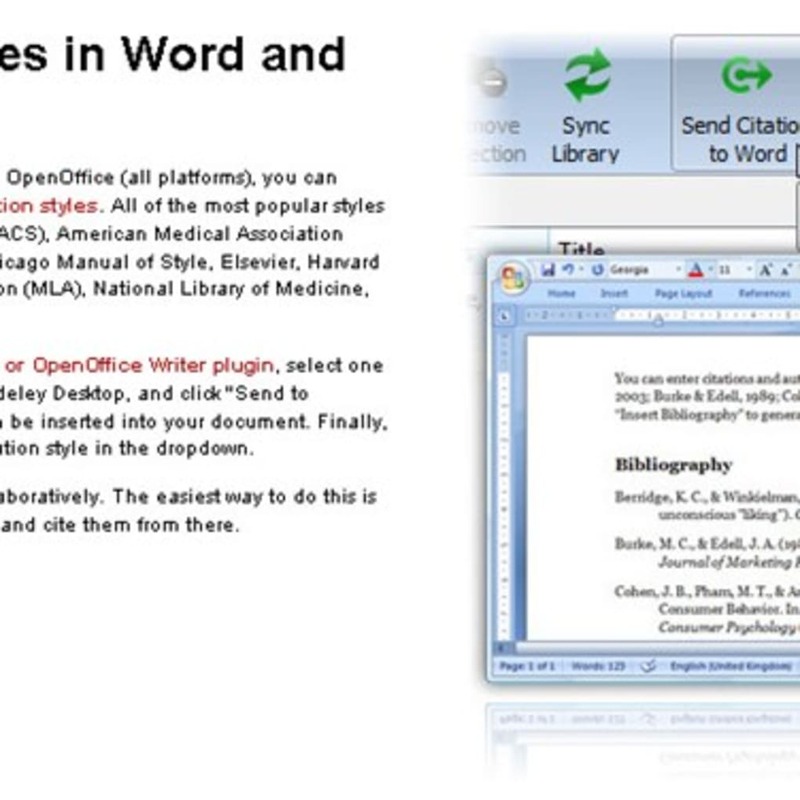 Further features include purchasable additional storage, a web importer to add articles and a citation plugin compatible with most word processing software that generates instant citations as you write. As the application can be used for private storage or public communication, there are further advantages to scholars. Users can search and apply for jobs online, set an alert for the latest research and pre-downloaded reading lists can be sent to specific groups making it ideal for students and lecturers. What do you think about Mendeley? Do you recommend it? Why?